responsibility of the Center’s day to day operations. By now, Angela is hard at work at a university in China teaching for a month. We wish her well and look forward to her safe return to Copey. Ana has a Degree in Special Education and has worked as a teacher and administrator in English as a Second Language and Early Childhood Education for more than 10 years in nearby Santa Maria de Dota. Other points of interest include the fact Ana is a native of Costa Rica but has spent almost three years living in New Jersey. She is the proud mother of a five year old daughter, Abigail. the Learning Center won the 1st, 2nd, and 3rd place spots for 5th/6th graders and won the top spot for the “Impromptu Speech”. Next level of competition is called the “Circuit Level” and we await the results and will report them. We congratulate our students on their success since it is one of several measurements used to determine the Learning Center’s progress. Did I mention that the “Spelling Bee” is students having to spell English words correctly? Hopefully, we will get more current photos of this year’s winners and will keep track as we march towards the Regional and National championship rounds. Now, to catch up on some trivia. About mid-June, this blog went past the 8,000 mark for visits. You and I can be very proud of this yet another milestone as it indicates we are keeping pace with past 1,000 blog site visit milestones. The 7,000 milestone was reached in March. During the recent past, we have had visits from South Africa, Australia, Netherlands, Israel, Burma, Indonesia, Germany, and Romania to mention only a few of the more uncommon visits. “Friends of Copey” is seen worldwide! interest…especially with this type of Blog. While some “Friends” move on, new “Friends” join in and the data shows that we have kept pace since the first year of this Blog. I regard all visits to this Blog very important whether it is a devoted and frequent follower or someone checking us out for the first time. We never know when that first time visitor will be someone who becomes a dedicated follower and “Friend”, or someone who becomes inspired to support us in the short-term, or someone who will be inspired to go out and “make a difference” for their own cause. Much of our success is credited to our relationship with Kiwanis…a very worthy partner who is helping serve children not just in our neighborhoods, but in the world. Finally, we are running ahead of the number of Blog visits this year compared to the past two years. We have a great chance to achieve our 2016 goal of a 10% increase in visits. Each “Friend” is needed to help achieve this goal by simply clicking on the weekly Posts to read the weekly news. THANK YOU! With “U” I Can Spell Success! Last week, I issued my Post from Kingsport, Tennessee and today I am happy to be back home. 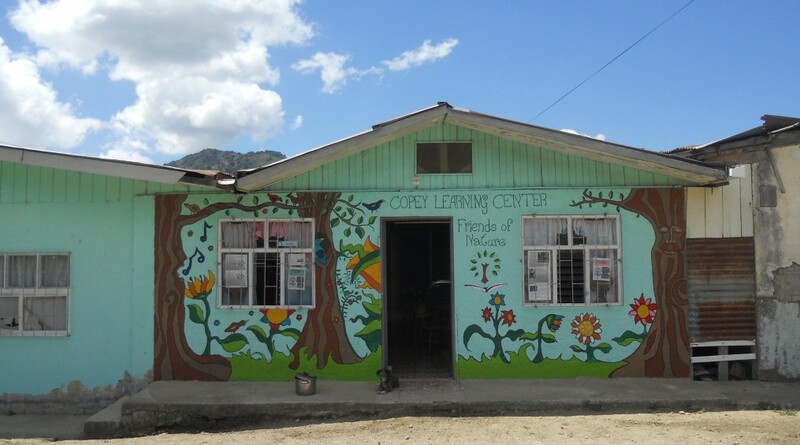 I am also happy to report that Angela, Noelia, and Celeste are all safely back home in Copey as well. They ended their 15 day trip by arriving home on Saturday night. Today I am featuring some of the memorable times Angela, Noelia, and Celeste spent upon arriving at Dulles International Airport on June 4th. Their first day was spent seeing many of the sites in our nation’s capital. While traveling to southwest Virginia, they visited the Natural Bridge and the Caverns. As they arrived on the campus of Emory & Henry College, they were greeted with open arms and shown the true meaning of “southern hospitality”. Xavier, a reality and unforgettable experiences for all of us. There were “Friends” who helped underwrite the travel costs. Other “Friends” who arranged for and provided food and lodging. There were “Friends” who took our guests on hikes and trails and provided unbelievable views of the region. There were bicycle rides, bowling, and many more recreational activities provided. Then, Celeste and Noelia performed their cultural dance for three different audiences. One performance was at my high school reunion. They were so impressive that the Class Reunion Committee is planning to provide some financial support to the Learning Center. All three made new “Friends” while participating in the Young Scholar’s educational portion of their trip. Yes, “Friends” were found almost everywhere you looked. Angela was a “guest professor” and shared information about Costa Rica, language and customs. Noelia also shared her thoughts in these words: “Words can’t expressed how grateful I am for this opportunity. It has been an incredible and amazing adventure. I really love this town and all the people in it.” Nothing could have been better than their time spent in America. Here are just a few of my thoughts. I absolutely enjoyed being with Angela, Celeste, and Noelia. They were excellent representatives of both Copey and their country. They experiened first hand our “Friends of Copey” motto; “When many will do just a little…much will get done for kids” and saw closeup the energy of the “Friends of Copey”. I have those very special people around me who provide encouragement, support, great advice and guidance, and inspiration to go beyond just imagining and dreaming about doing something. Carol knows me well and knows my heart when it comes to this “Friends of Copey” project. She is often the reason much of the really detailed things get done. Pat and Jim along with many others I consider affectionately as “Friends” also help make this project all it is today and all it will become tomorrow! I regret the fact that so many of you supporters (Friends) did not meet Angela, Noelia, and Celeste during their stay. If you had you would better understand how significant you are and how much you have impacted so many lives and believe it…you have. You would see what the “Friends” in southwest Virginia all witnessed over the past two weeks…something very special. Last week’s Post came from Washington, D.C. and today I am writing from Kingsport, Tennessee. The past several days have been very exciting and inspiring in many different ways. I have had the true pleasure of spending much of the past three days with Angela, Noelia, and Celeste at and around Emory & Henry College. We all have done some very fun things including lunch with Jake Schrum, President of Emory & Henry College. Angela, Noelia and Celeste traveled with me to my 50th High School Reunion activities, met many of my classmates and were greeted by the mayor of my hometown…Marion, Virginia. We also attended a concert and a potluck. There is more…they were treated to hiking trips, went bowling, and were taken on a bicycle tour. The Robin Grossman host family, Dr. Gaia, Dr. Davis, and so many others went the extra mile to make this a very special and memorable trip for all three of our guests. Never have I been more proud to be associated with this project, my friends, and our guests. So much has been brought to us on this trip as our guests have been wonderful “ambassadors” representing their community, the Learning Center, their fellow students, and even “Friends of Copey”. the Costa Rican dance performed by Noelia and Celeste. With a different group they were treated to a potluck attended by mostly college personnel. Both groups watched with interest and admiration as the two skillfully performed. There were many among both audiences wanting to know more about them and their community. I will send you an excerpt of their performance in next week’s Post. Starting this morning, Noelia and Celeste are beginning their “Summer Scholars Institute and Leadership Program” on campus. They are joining other students for this week-long program of learning. Angela, as a “guest professor”, will be busy teaching students about Costa Rica and its culture. This week promises to be as exciting as last week but more academic in nature. I wish to close this Post by commenting on Angela. She is very special and has done a remarkable job as Director of the Learning Center. Her leadership and devotion to the Learning Center in part is what produced the quality of students we have seen with Noelia and Celeste. We have learned to appreciate their efforts to master English. We have also had the amazing opportunity to get to know Angela. In a large way, the students represent the results of Angela’s efforts and dedication to the Copey community. It also demonstrates the enormous trust and confidence the community has placed in Angela. Sending young ladies off to America is not common at all in Copey and it demonstrates the level of interest the community has in the futures of their children. The “Friends of Copey” all thank you Angela. The Learning Center, personnel, community, and especially the students have given meaning and purpose for this great partnership. God Speed! Excercise by Lifting Someone Up…! suddenly on Memorial Day. He is survived by his wife, two daughters, a sister, and his dear mother. All are wonderful and loving people who shared their lives with Marty each day and witnessed Marty’s love for family, his extensive community service, and Christian faith. The “wake” and the funeral service accounted for several hundreds of guests who paid their respects, shared their “Marty” stories, and offered comfort and support to the family. Marty was praised for his very strong family values, being a leader and an “exceptional force” as a strong advocate for kids with “special needs”. His faith as a Christian was evident in all aspects of his life and community service. Being here with family during this time has been a true blessing and honor for me. Marty…thanks for making a difference! Angela, Noelia, and Celeste arrived in Washington, D.C. on Saturday and by all accounts, have had a really great time touring D.C. and experiencing life in our country’s Capital. This is was a tremendous start for the two students who are seeing our country for the first time. Yesterday, they traveled to the E&H College campus (about 6 hours away) to meet up with their host family and other college representatives. Unfortunately, our schedules did not allow us to meet here in D.C. during their time here. I leave D.C. tomorrow and will catch up with them later in the week when I travel to the college. Next week’s Post will provide a lot of information about Noelia and Celeste’s great US adventure. Then, there are the students and photos say it all…! Spending time teaching students and expressing the importance of education provides for all the students an encouraging message. These students can believe they are important when they meet those who will travel to Copey to teach and inspire them to learn. There is simply no price you can put on this obviously rich experience. Who thought this could be possible in a small remote community with not much to offer? Who thought two college and sophisticated students would leave Copey feeling they learned so much? Well, I certainly thought all along it was indeed possible and it really only took about 15 minutes during my first visit to Copey to figure this out. I continue to believe there is something very unusual about Copey, its people, and its vision. I now have the proof with Casey and Xavier. They witnessed firsthand and can verify how warm and receptive the community is to all who come to work and visit. And, they have witnessed the leadership and commitment to making a better life for kids in a community that is trying to make it happen. We, the “Friends of Copey” are absolutely proud of Casey and Xavier. They are collegiate pioneers who have taken on a huge challenge and came home victorious. May God continue to bless the entire “Friends of Copey” venture.